Digg gave us a small preview yesterday of what was to come with the ground-up refresh of one of the web’s most revolutionary media sites. Today, they’ve officially launched the new Digg after a blazing six week sprint at Betaworks. 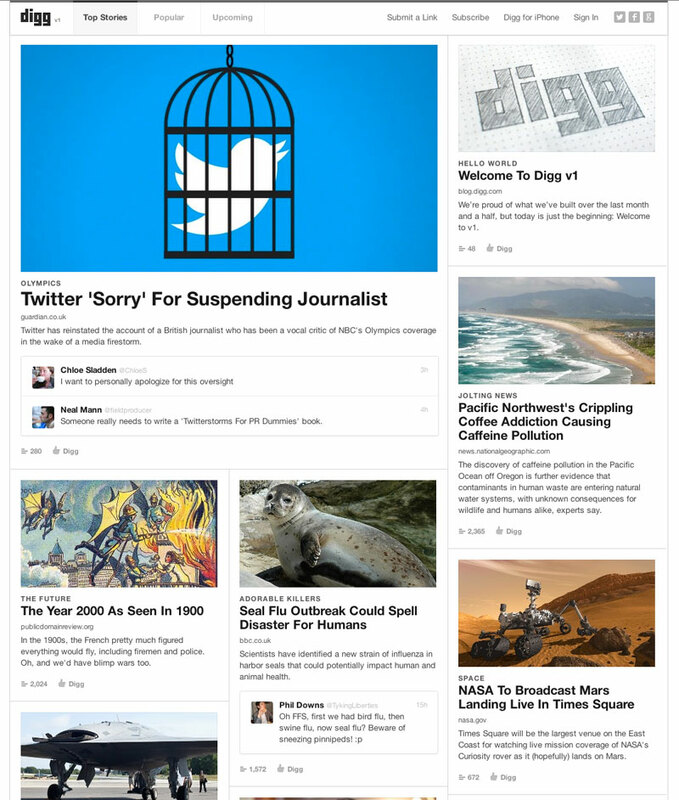 The new Digg looks a lot like a web magazine and is all about curating the web’s most interesting content. Gone is the tacky, once-cool Web 2.0 shine of old Digg, but so too it appears — at first glance — is much of anything that distinguishes it from any WordPress web magazine. On the frontpage the Twitter account suspension controversy takes center stage today, while a mixture of fun, frivolous material and important news makes up the rest of the content. The most prominent link is to the Guardian’s piece on the subject, presumably selected by some combination of curation and its user popularity by way of the stalwart Digg thumbs-up. A few embedded tweets are also present. There’s a highly relevant “I want to personally apologize for this oversight,” from Chloe Sladden of Twitter Media, and a less useful joke from a media commentator. The site uses a completely new codebase and refreshed infrastructure, which one can only imagine was much-needed after many iterations of the ageing former site. The new Digg uses Facebook sign-in only, perhaps in a move to dispel some of the anonymity that caused Digg’s comment sections to devolve in the past — or perhaps just to make things a little simpler for the Betaworks engineers. Digg has simultaneously released its new iPhone application. Just as with the site proper, the focus is all on displaying content in a minimalist way. It’s reminiscent of other content apps like Flipboard for iPhone. It’s hard to imagine that Betaworks expects Digg to find a second wind as a top-of-the-web leader, but it’ll no doubt continue to be a solid performer with good traffic. And maybe, with more time to develop the site beyond this brief sprint, we’ll get a glimpse at a deeper strategy for Digg. 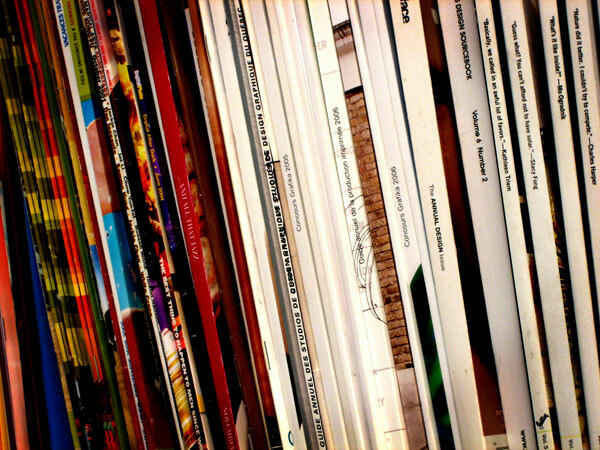 Magazines to read photo by Longzero.